Shenandoah Lodge & Athletic Club overlooks the 117-acre Lake Frederick in the foothills of the Blue Ridge Mountains in the heart of Northern Virginia’s famed and majestic Shenandoah Valley. Commonly referred to as “Shenandoah Club,” the campus includes the Lodge, Athletic Club, and Shoreline Outfitter, and encompasses more than 36,000 square feet of indoor space along with an expansive lakeside veranda and patio beneath. The restaurant, Region’s 117, and the Shenandoah Events Center are open to the public and available for dining reservations and private bookings. The remainder of the facilities are reserved for residents of Trilogy at Lake Frederick and their guests. Looking for gift cards to use at the Shenandoah Lodge & Athletic Club? Buy yours here! Shenandoah Lodge & Athletic Club is the centerpiece of the Trilogy® at Lake Frederick community created by Shea Homes. All owners within Trilogy at Lake Frederick are also members of the homeowners association, of which Shenandoah Club and all of its amenities are a part. 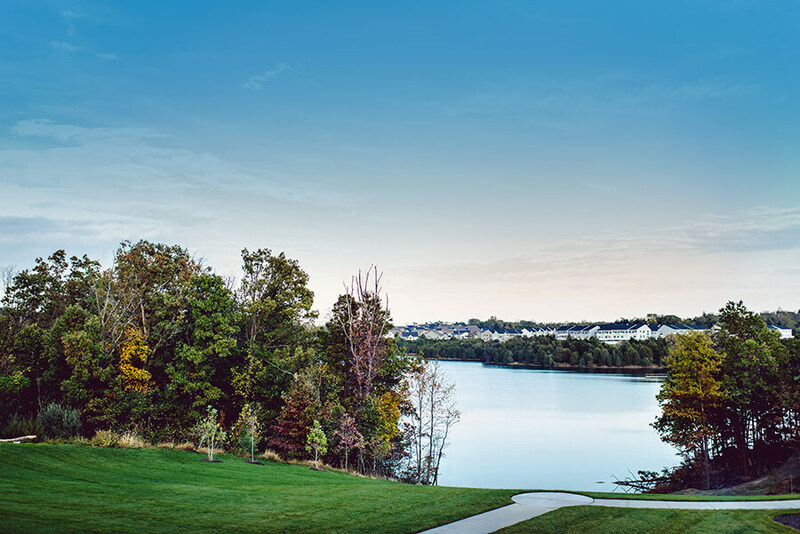 Residents of the other neighborhoods of the Lake Frederick master-planned community have preferred access over the general public, but their access to areas of the club beyond dining and the Events Center is limited as well. The feature restaurant Region’s 117 – as well as the Shenandoah Events Center – are open to the public and available for dining reservations and private bookings. To learn more about homes in the community, please click below.